The National Inventory Certification Association™ (NICA) is pleased to serve as a trusted referral site for our Associate Members. We encourage our members and all who visit our site to review these professional resources who provide excellent products and services as well as superb customer service. LegalShield is represented by Independent Associates, and your Managing Director, Cindy Hartman, has chosen to offer this opportunity for our NICA members. Now with over 4 million users, LegalShield provides confidence and peace of mind for businesses and families everywhere. For one low monthly fee, members gain access to quality law firms without having to worry about high hourly costs. Because LegalShield attorneys are all paid in advance, they provide the same level of service for trivial or traumatic legal situations. At Legal Shield, small businesses benefit big. Legal Shield believes every business should have access to legal coverage and every business should be able to afford it. With all the fine print and legalities of running a company today, legal protection is a necessity, but it doesn’t have to be unaffordable. For one low monthly cost, you can lead your business with peace of mind knowing you’ll have access to legal advice when you need it most. From legal consultations and contract reviews to debt collection and more, your attorney will help you and your business with any legal matter, big or small. Using her more than 20 years of Web development experience to build sites for tech companies, associations, non-profits, and small businesses, Mary Gillen blends professional design with measurable business results. The perfect example of her work is to peruse the NICA website. This site involved the normal type of information any website offers; however, she was also required to connect the membership software to the courseware, and both needing to work with the ecommerce process – and make it all happen seamlessly. 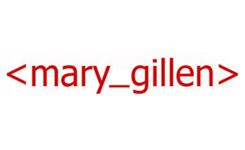 Obviously, whatever you need or want for your website, Mary Gillen can make it happen. Whether you need a few tweaks or an entirely new website, you will find Mary is extremely talented and professional. From adding a blog page to an existing site to creating a fully searchable directory, your issue becomes her successful project. Copywriting for Both Web & Print – Copywriting is one of the most essential elements of effective online marketing and print business communication. Effective copy sells your services. She has written hundreds of brochures, technical manuals, and Federal government RFP proposals in addition to writing for the Web and producing online marketing copy for commercial and private organizations. Content Marketing – Every business person serious about marketing his/her business today must publish blog posts, Twitter tweets, Google+ shares & YouTube video content consistently throughout the business week. Why? Search engine optimization. Consistently publishing quality content to your blog, Twitter, Google+ and YouTube accounts is the way to get there. She has developed a Content Marketing Plan that can be used for Business-to-Consumer (B2C), Business-to-Business (B2B) or Business-to-Government (B2G). For all of your website, content, and social media needs, Mary Gillen can help you reach the next level with your business. How do I start my own home inventory business? That is a question that many ask Nationwide Inventory Professionals. At first glance, it seems as easy as counting things and taking pictures. However, learning the industry, establishing inventory procedures, knowing how to market the service, writing a business plan, developing office documents and contracts, and much more, can be a long, time-consuming and often daunting process – especially when you’re anxious to get started! While all of this is necessary to start your own inventory business, there is also the need to create your logo, write the content for your website, create your business cards, brochures, and flyers. Then what about your monthly newsletter? Who will your mentor be? Visit our website to learn about our Business Package and License Agreement. Leave the details to us, such as developing your website and writing and distributing your newsletters, creating your logo and writing your marketing materials. Instead of learning through trial and error what works and what doesn’t, you can spend your working on your business while we mentor and guide you through their 200+ page inventory guide and support and mentoring. 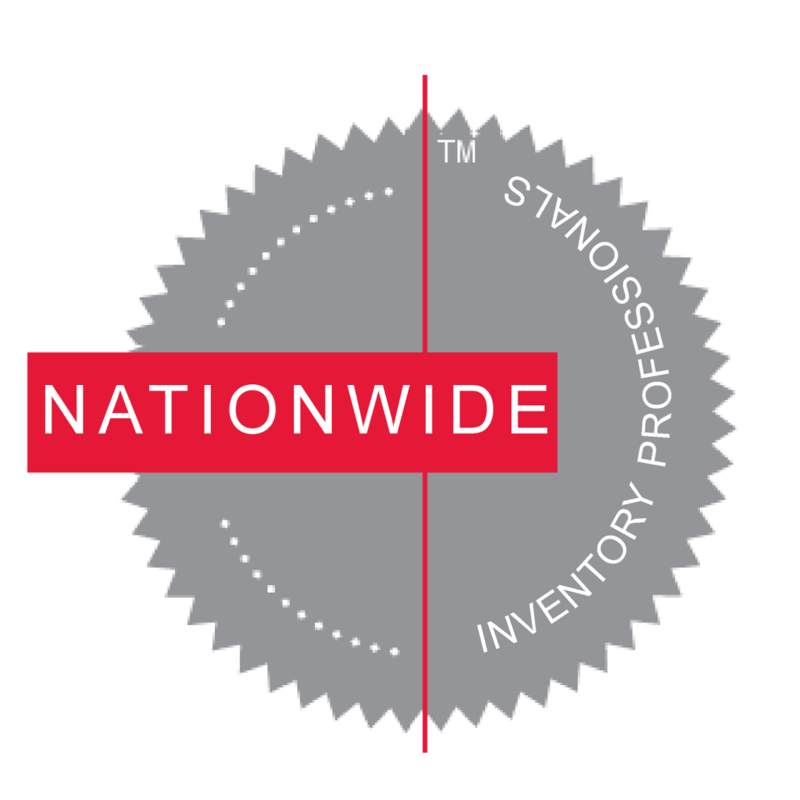 A bonus – your 1st year membership and the courses and final exam to achieve your CIS are included in your investment in Nationwide Inventory Professionals’ Business Package and License Agreement. They will help you start and grow a home and business inventory service … and you can be ready to do business within 30 days! Nugent Appraisal, a family operated personal property appraisal firm, certifies the values of fine art, jewelry, collectibles, memorabilia, and residential contents. In addition to conducting onsite appraisal examinations in homes, offices, and secure facilities, the firm certifies the value of thousands of items every month from around the world from images, descriptions, and documents of origination. Nugent Appraisal enjoys the relationship developed with NICA members. By utilizing their skills developed by completing personal property inventories, Nugent has found these professionals to be the perfect resource to serve as Examiners. This allows him to serve more clients, resulting in growth for Nugent Appraisal. At the same time, the home inventory professional has the opportunity to offer appraisals as an additional service for their clients. Ray Nugent co-authored the Appraisal Examiner course and shared his knowledge and time to the Certified Appraisal Examiner Committee as they determined the requirements to achieve the CAE designation. Both activities helped to ensure that NICA is presenting valuable and appropriate information. Additionally, volunteering his time displays his dedication to developing a solid business relationship with the members of NICA. Renovation Angel is a non-profit 501(c)3 organization. They are North America’s premier luxury kitchen, renovation, and furniture recycling enterprise, and located in all 50 states. Renovation Angel has conducted thousands of projects including members of the Forbes 400, celebrities, sports stars, and high-wealth property owners. While seeking to raise funds for non-profit organizations, founder Steve Feldman saw a “Demolition in Progress” sign at the former residence of Farah Pahlavi, the Last Empress of Iran, who had lived in a 10,000 square foot Rockefeller Mansion. When he drove up the driveway, he found that the house was gone. This gave him the idea to start a demolition donation program to earn the money instead of asking for donations. The idea turned into a pilot project, and in 2005, Steve started Green Demolitions. Renovation Angel was formed in 2012 as the official donation program of Green Demolitions and has since supported dozens of non-profits; the number of programs continues to grow. Homeowners receive financial benefits of tens of thousands of dollars in savings available for qualified projects. The clients receive 1) a full tax deduction, 2) free, white-glove, insured, professional removal/pack/transport, and 3) no disposal fees. Since 2005, Renovation Angel has created over $17 million in jobs, donated over $2.2 million to charitable programs, recycled over 4,700 kitchens, and diverted over 27 million pounds from landfills. Teaming up with NICA is a benefit for both Renovation Angel and our association’s inventory professional members. When Renovation Angel receives a recycling project, the NICA members have the opportunity to serve as Examiners by recording the inventory of items to be donated – measuring, logging descriptions, and taking photographs. Tapping into the NICA membership, Project Angel can save travel time and expenses, while NICA members can add this opportunity as part of their Examiner services. NICA is actively seeking Associate Member candidates interested in synergistic opportunities with inventory professionals (inventory software, restoration companies, office supplies, marketing professionals, etc.). If you would like to discuss how Associate Membership would benefit your company, please contact us.